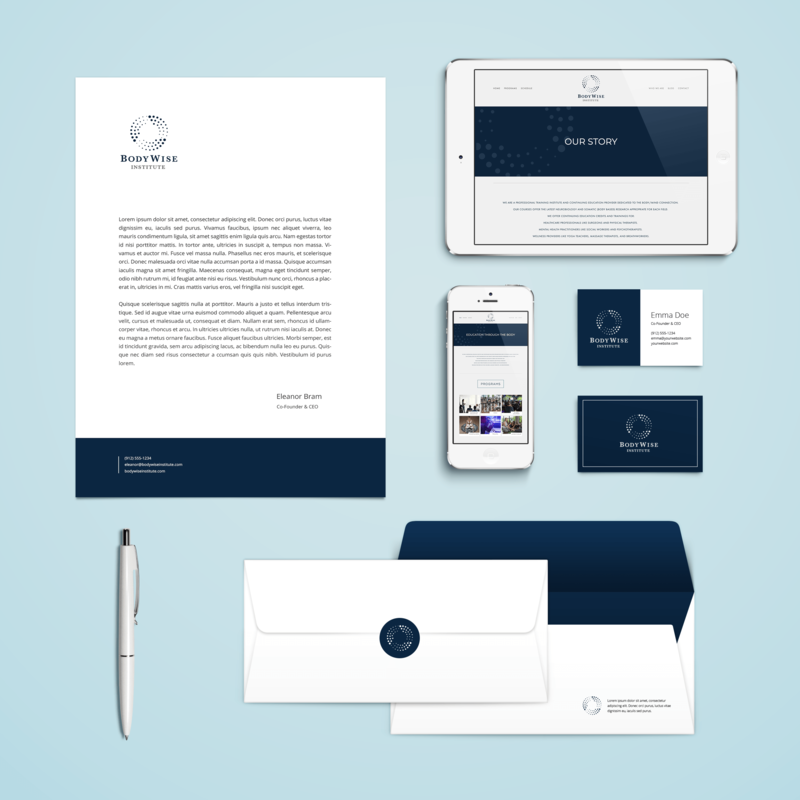 Our services included brand identity and marketing collateral design. Carrboro Creative developed a strong cohesive brand for BodyWise Institute, an education institute that provides continuing education for healthcare professionals. We built the brand around trust and responsibility, as reflected in the color and font choice.